Does anyone know the pin outs for the 124 power stage. anyone installed the current board and made pics ? BTW: im gonna install this to a 219 goldbox.. seems to be the same... but.. is it ? The base EZK board is the same across all the different part numbers, so you shouldn't have any issues. ouuhh !! thats a good one where did you get that throughplug? can anyone tell me if there are other powerstages i can use besides 0 227 100 203? i cant find that specific one anywhere. i have found many with 7 pins with other partnumber but i'm not sure if they work too? Got that one too, with the tach output. Mine's from a Mitsubishi 3000GT. i finally found a coil and powerstage. Anyone used a Ford EDIS coil yet? A local guy is using one. Last I heard it was running well. i know many people have used ford edis coil for their projects but i also heared some people talking about problems with the edis coil because of some filter inside so they had to use something else. i will try to find out what they mean. Some of the coils have an integrated noise filter/capacitor, the one I have uses an external filter so it can easily be removed if needed. 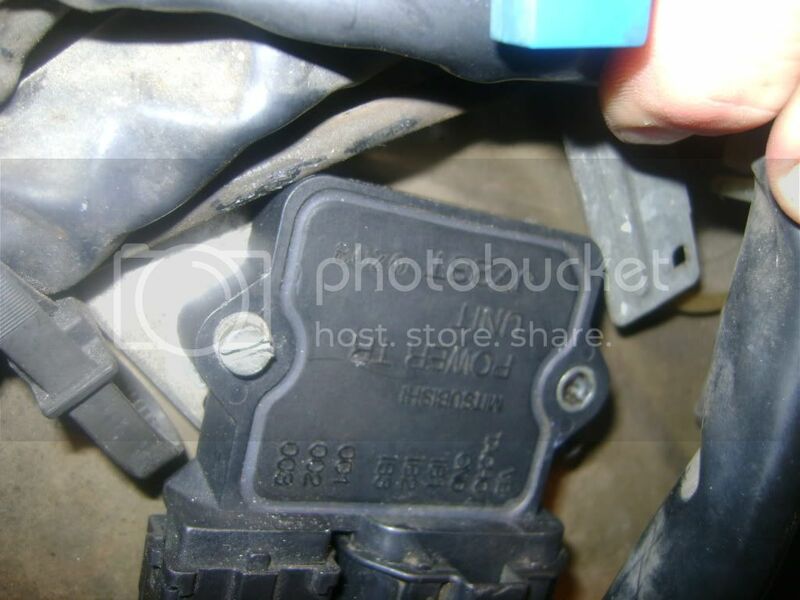 Any way to tell if my ezk is EGR or not? I have a gold box that I'm going to use, P/N 0 227 400 214. The top right corner of the first pic, right next to the upper mounting tab of the heat-sink, you can see two black D-shaped components. Those are part of the EGR circuitry. Awesome, thanks for the info. Just wanted to be sure before i installed my board using the egr pins. Here's some pics of how I did mine. Unfortunately, my box has EGR so I couldn't piggy back the pins like I was hoping. I used a Molex panel mount connector and some ribbon wire from an old alarm system I had laying around. The hole for the connector to mount in is kinda crappy and looks too big, but the tabs on the connector are huge, so it had to be that size. fancy. never seen a silver box before. its goldish... think its the flash which makes it looks so fancy.. but the really fancy part here is... its a 214... i've never heard of a 214er EZK which is gold before... only the 219 aka "goldbox"
I've sourced all the standard parts (Bosch 2x2 + 3 channel driver) but the coil pack has unusual HT connections. I got a set of punto leads with the 2nd hand coil I got on ebay (£1.04+postage ) It seems to have 4mm pins in the coil pack, distributors connections are female normally. Standard distributor end may work, but I suspect they may not be reliable. I had a good search and not been able to find the necessary terminal to make up my own leads. I can use the ones from the Punto with new cables, but it may weaken the terminals. Anyone found a source, or are standard leads a reliable bodge? I would add a photo on the Punto lead connectors, but I'm not allowed.